All recipes are wheat, dairy, egg and gluten free unless indicated and contain health information. Ingredients in this recipe include chickpeas, beneficial to heart health, containing a rich source of magnesium, which can help to lower blood pressure and regulate heart rhythm. Garlic helps to regulate cholesterol, chilli may help to lower blood pressure and turmeric, with anti-inflammatory properties. The ingredients can be varied to taste. An additional option is a scoop of protein powder – Higher Nature have an organic cold milled hemp powder, high in protein. Blend all ingredients in a blender until smooth and drink immediately. An alkaline balancing, oxygen rich drink to help restore your body’s alkalinity, energy and vitality. 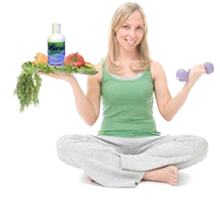 To restore alkalinity drink two alkaline green drinks every day. To maintain alkalinity drink one alkalising green drink per day.